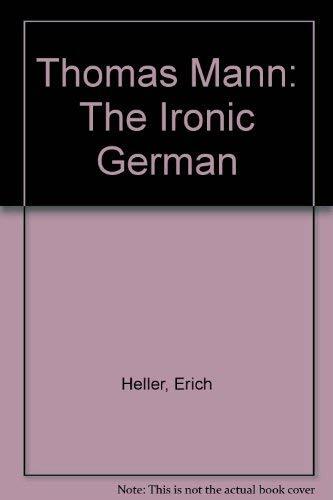 In this book, which was first published in 1958 and reissued in 1981, Professor Heller sees Mann as the late heir of the central tradition of modern German literature and also as one of the most ironic writers within that tradition. He offers a detailed study of the major works of fiction, Buddenbrooks, Tonio Kröher, Death in Venice, The Magic Mountain, Joseph and His Brothers, Doctor Faustus and Felix Krull, as well as a discussion of Mann's most significant political essay, 'Meditations of a Non-Political Man'. Beyond this, Heller's book is a profound commentary on Mann by a mind attuned to (and mouded by) precisely the intellectual and cultural traditions which are so much part of Mann's creative make-up. Professor Heller sees Mann as the late heir of the central tradition of modern German literature and as one of the most ironic writers within that tradition. 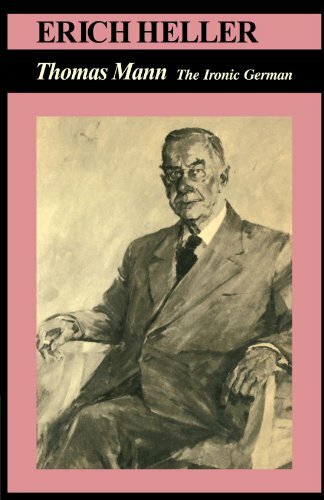 He offers a detailed study of the major works of fiction and a discussion of Mann's most significant political essay, 'Meditations of a Non-Political Man'. Erich Heller, Avalon Professor of the Humanities emeritus at Northwestern University, is the author of many books, including "The Disinherited Mind" and "In the Age of Prose,"